Last October I went to a photography workshop and met an incredible bunch of woman. Some of the woman I met have decided to do the 30 photography exercises in Chris Orwig's book People Pictures. I have decided to join them and will be posting my results here for the next 29 Mondays. The first exercise was to shoot in manual mode and manual focus (this was my first time ever shooting in manual focus...definitely different but fun) and to take 10 portraits in 10 minutes. They were to not be stylized or posed just a person in their environment telling a story. 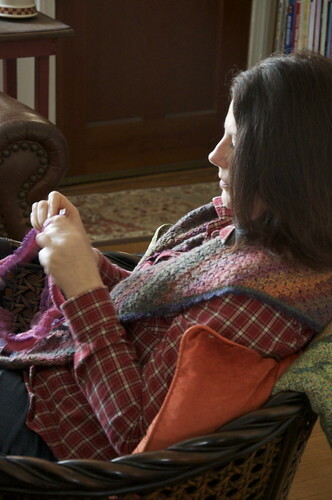 I chose my friend Melissa and since she is a fabulous knitter I took pictures of her knitting. This is the one I chose to post and I know it is not your typical portrait as you don't see eyes but I am happy with it. Please leave your comments and feedback. 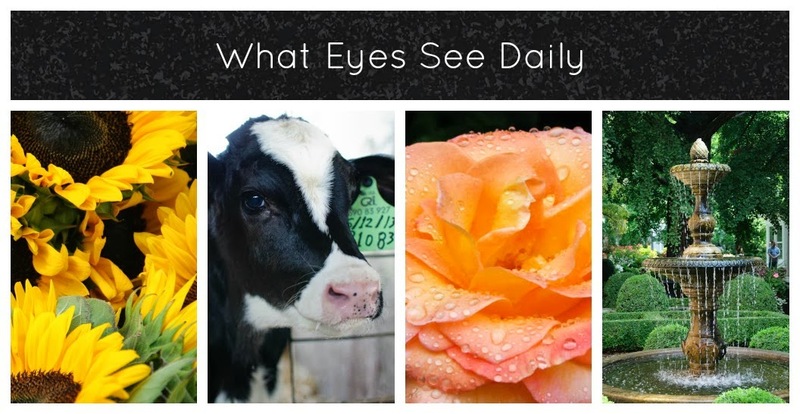 I am hoping to grow and learn a lot about my photography over the course of these 30 weeks. Although you don't see her eyes, the intense concentration on her face is beautifully highlighted by the natural light. The warm colors in the furniture and textiles really bring out the cozy and familiar. Lovely! I love the highlighted profile and that we see what she is so intensely focused on. It's wonderful portrait. I also like the motion blur of her hand - there is some motion in the image, yet it conveys stillness and restfulness. Great image! Lizzy, I'm thinking she is a great knitter! The warm light on her face is lovely and even though you don't see her eyes she seems quite happy to be doing what she's doing. Ladies - thanks for all your wonderful comments. I look forward to the next 29 weeks. What a great photo! I really like how it feels that she is completely unaware of you and the camera (maybe she is)? It's not often that we have pictures that capture something we enjoy doing and I think you have done a nice job of providing a memory for your friend!